A termite pre-treatment for new construction is an important step for homeowners and property managers in the Dallas/ Ft. Worth area. This treatment provides a chemical barrier between the soil and the structure. It is the most cost effective method for preventing termites. Knowledgeable builders include it in every structure they erect, and prospective buyers should demand it in any new house they have built. 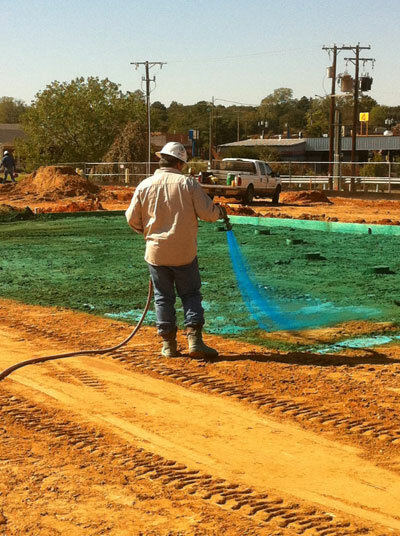 A liquid chemical treatment is applied during construction at a certain time depending on the type of structure. Termiticides applied during construction treat many areas that are inaccessible after the construction is complete. If you are adding an addition to your home, it is especially important that the new construction area be treated. Even if your existing structure has been treated, the seam between the old and the new is certain to develop a problem within the coming years. Borates can be used on the wood members of the structure during certain phases of the construction. With our 800+ gallon spray rigs, we are able to perform the job to specifications and within a reasonable time frame. Tanks are equipped with flow meters to provide the required volume of product while using service stickers to guarantee completion of each job. Finley's carries General Liability Insurance, Workers Compensation, Automobile Liability, and an Umbrella Policy for your insurance requirements. We maintain a firm foundation of integrity with your customers. Trust Finley Termite & Pest Control for the highest and best value in pre-construction soil treatments.